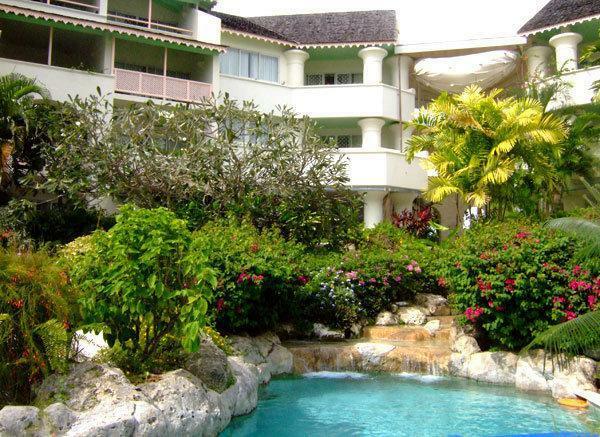 A landscape of lagoon pools, cascading waterfalls and lush gardens add to the charming ambiance of Bougainvillea Beach Resort. 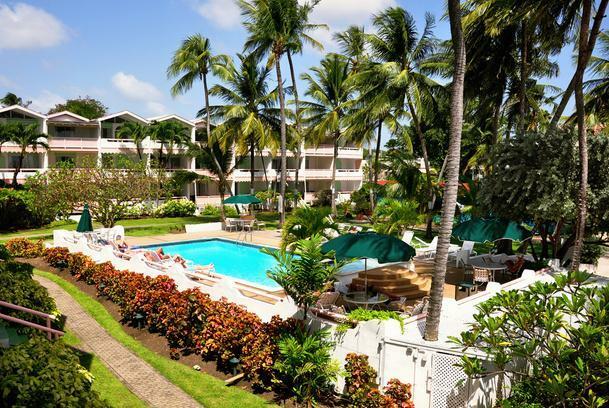 Warm, friendly service, outstanding accommodations and a landscape of lagoon pools, cascading waterfalls and lush gardens add to the charming ambience of this tropical paradise. 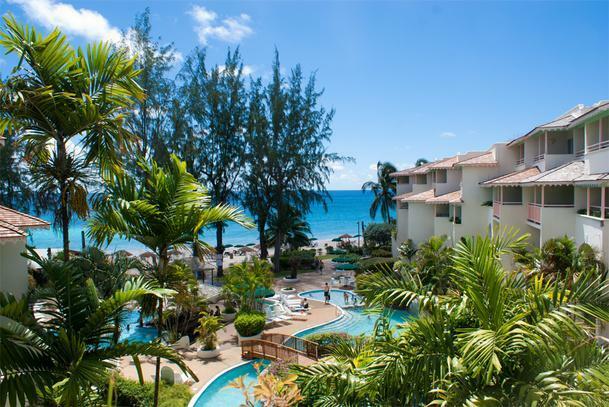 Centrally located on the beautiful South Coast of Barbados overlooking the emerald Caribbean Sea and directly on a stretch of powder white sand beach is the Bougainvillea Beach Resort. 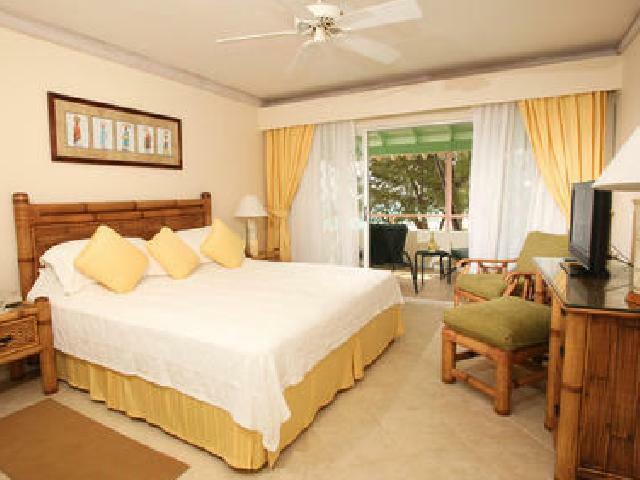 Set on 2.5 acres of lush tropical garden, the Resort is ideally located. 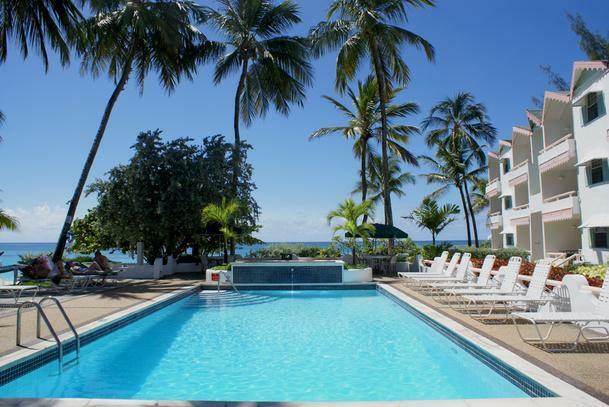 It is 15 minutes drive from the Grantley Adams International Airport and just 20 minutes from the capital, Bridgetown. 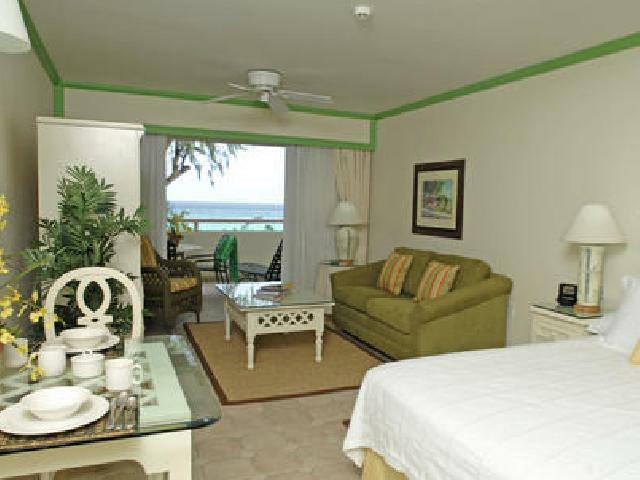 The Bougainvillea Beach Resort is privately owned and managed. The Resort has all-suite rooms, which are built in the shape of a horseshoe affording each room a magnificent sea, garden or pool view. 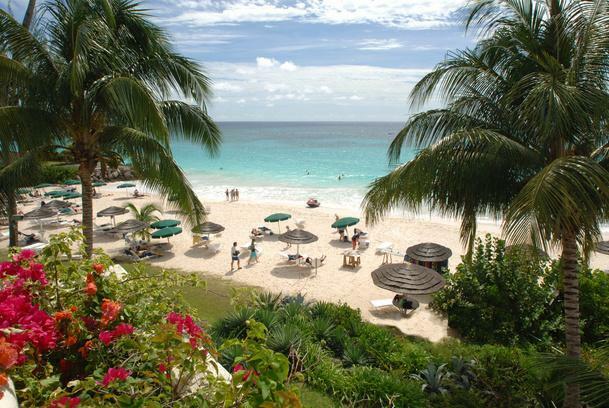 The island\'s tropical climate allows for a warm 75-80 degrees Fahrenheit 26-30 Celsius temperature, tempered year-round with cooling island breezes. 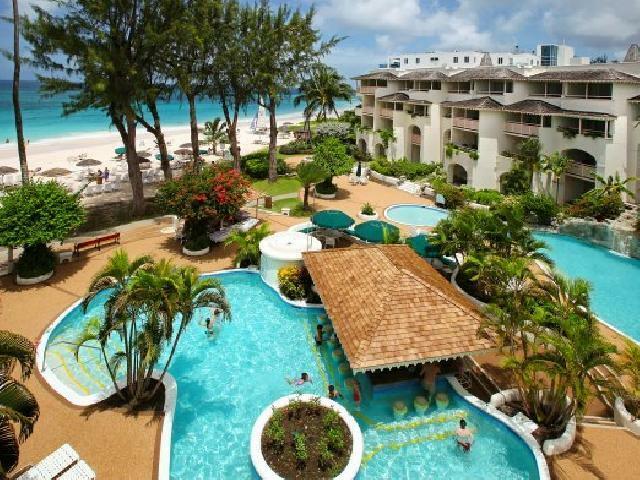 ****Bougainvillea Beach Resort is a participant in the Barbados Island Inclusive Package 2014. 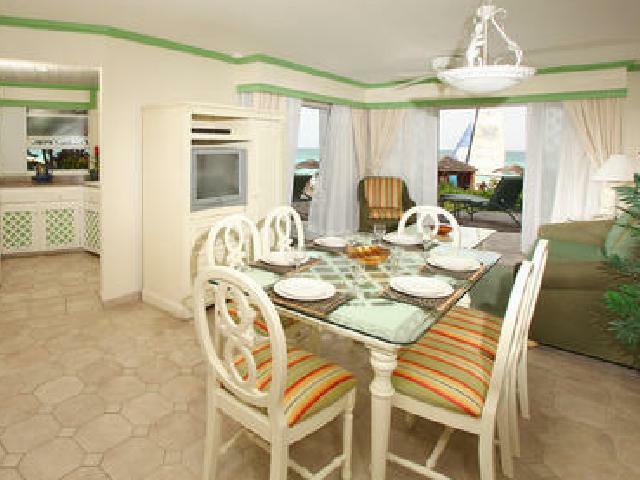 Resort Coupons to be given to guests at arrival for participating attractions, activities and restaurants. The professional spa team offers unisex hair styling, body wraps, facials, manicures and pedicures. 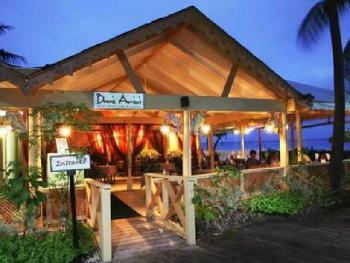 Body treatments include hot body scrubs, aromatherapy massage, stone therapy and acupuncture. Bridal packages are also available for make-up and hair styling, with free prior consultation. 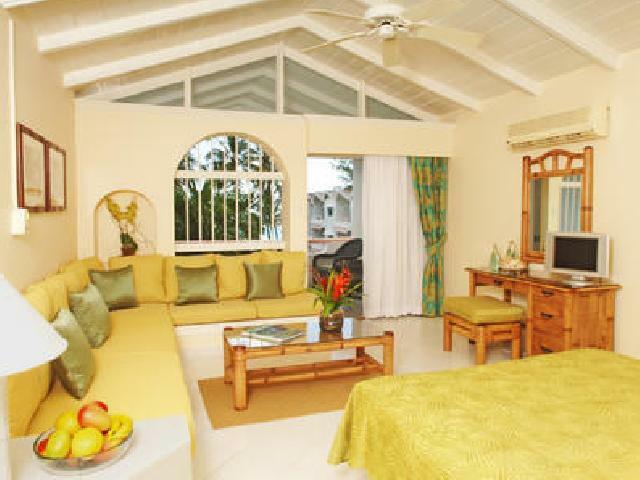 Waves is open Monday to Saturday from 10 a.m. - 6 p.m. and for special bookings. 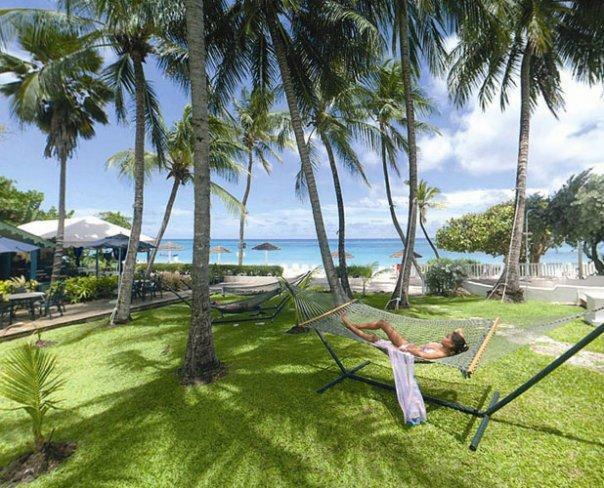 Hotel offers beach volley ball snorkeling, kayaks, boogie boarding and paddle ball. Other non-motorized and motorized watersports are available at a charge. 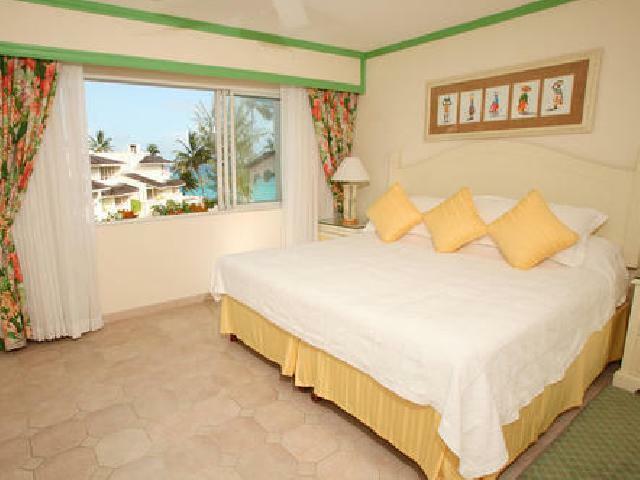 Complimentary blender, cribs, rollaway beds, amd electrical adapters are available for rooms. 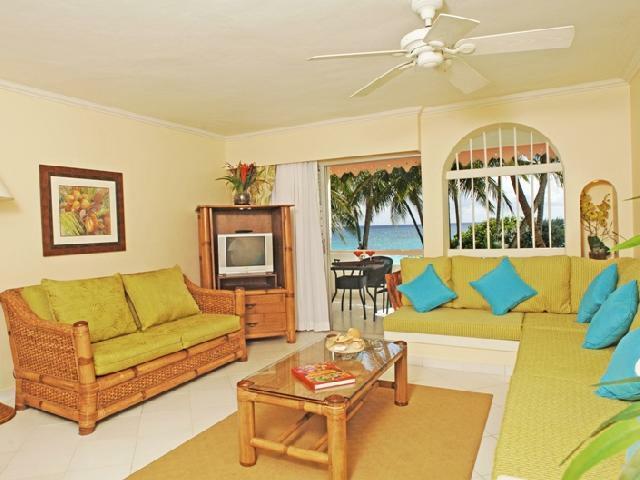 There is a guest lounge and it is fully-air conditioned, with comfortable sofas, cable television, and two spacious bathrooms with showers. 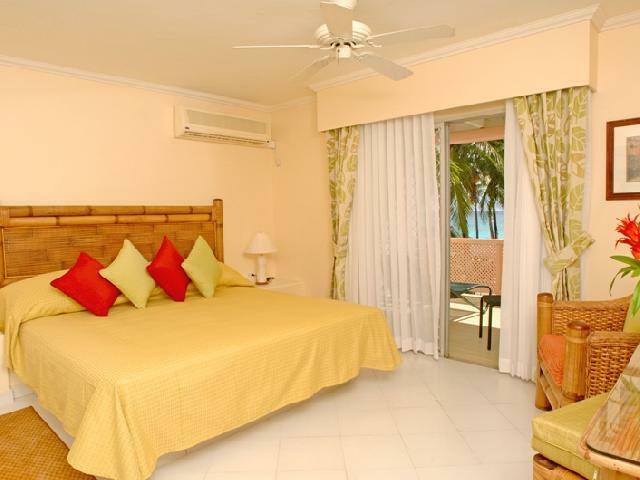 After checking out, guests can enjoy their last hours in the sun, then shower and relax in total comfort before leaving for the airport. Our Conchita Conference Room offers a perfect place for small retreats, conferences, meetings and presentations in a relaxed atmosphere. The 814 square foot, fully air-conditioned room has a maximum capacity of 65 people - theatre style and has an open deck overlooking the sea, which is perfect for coffee breaks. Audio Visual Equipment, VCR, flip chart, easels, overhead projector and tape recorders are available for rental. 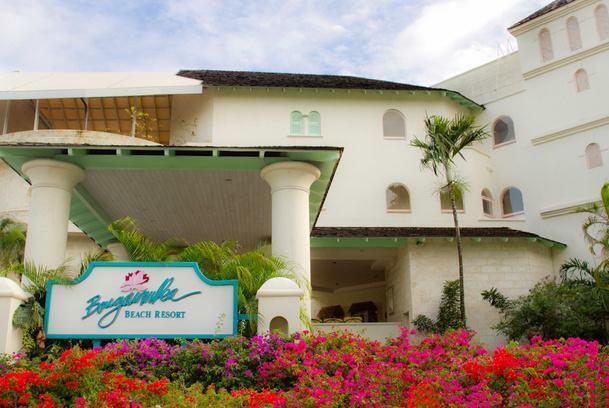 Use of the Conchita Meeting Room is offered on a complimentary basis to groups of ten rooms or more staying at Bougainvillea Beach Resort (special terms and conditions apply). Specialized catering services for meetings, conferences, cocktail parties, buffet luncheons, special events and corporate functions is available and a variety of menus can be customized to suit all tastes and budgets. 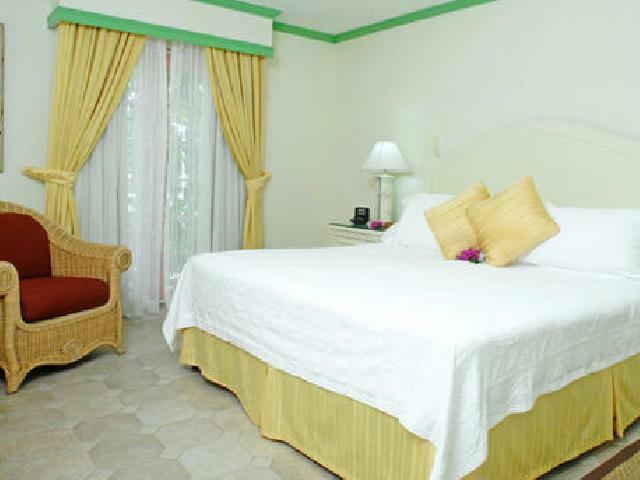 Our Guest Lounge is fully-air conditioned, with comfortable sofas, cable television, and two spacious bathrooms with showers. 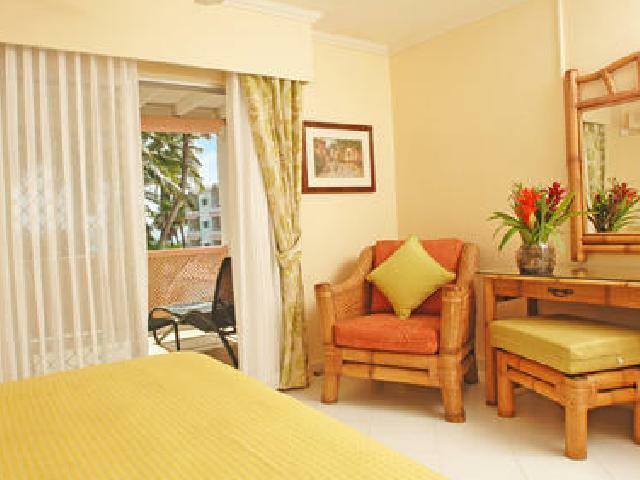 After checking out, guests can enjoy their last hours in the sun, then shower and relax in total comfort before leaving for the airport. The professional team at Waves Beauty Salon & Spa offers services including unisex hair styling, facials, body wraps, manicures and pedicures. Body treatments include aromatherapy massage, stone therapy, hot body scrubs and acupuncture. Special bridal packages are available offering make-up and hair styling, with free prior consultation. 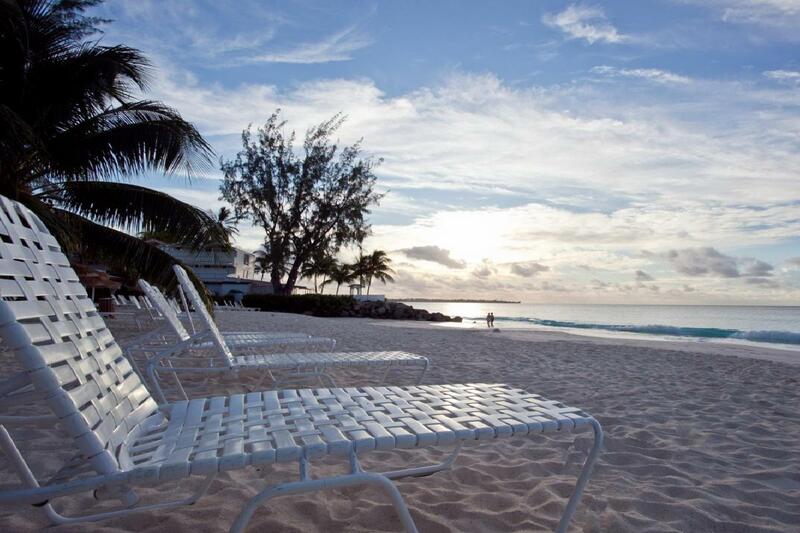 Waves is open Monday to Saturday from 10 a.m. – 6 p.m. and for special bookings. 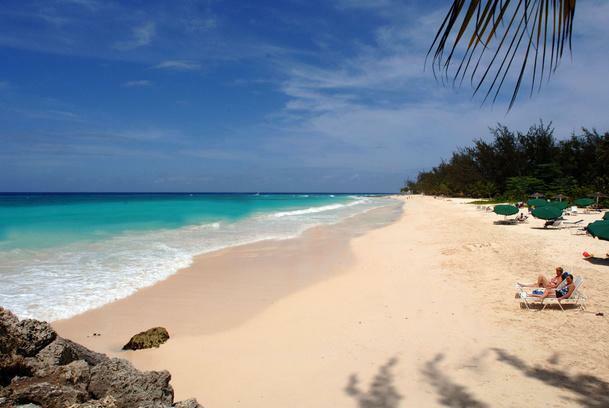 Bougainvillea partners with new 18-hole championship golf course, Barbados Golf Club. Discount rates and preferred tee times to guest of the resort. 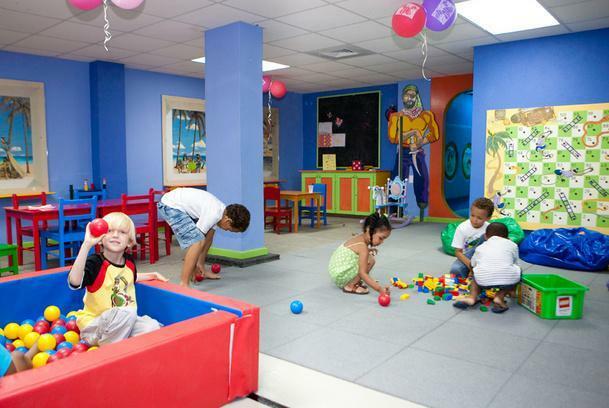 In house activities department can take care of making arrangements. There is one floodlit tennis court, minimal charge for racquets. Purchase balls on site at Beach shop. There is also a Games Room with table tennis, Foosball, Air Hockey and a pool table. Board games available on request. 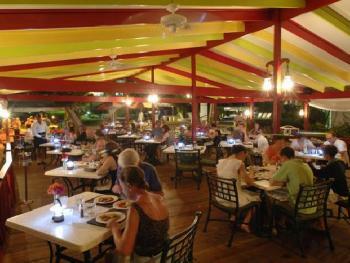 Social activities include live entertainment 4 nights weekly, 2 at Lanterns and 2 at Water's Edge. There is also daily Happy Hour. Complimentary use of a deluxe center offering Cybex and Life Fitness equipment, treadmills, life cycles, stair climbers, free weights. Scheduled Aerobic classes(at a charge) several times a week. Air Hockey and Pool table. 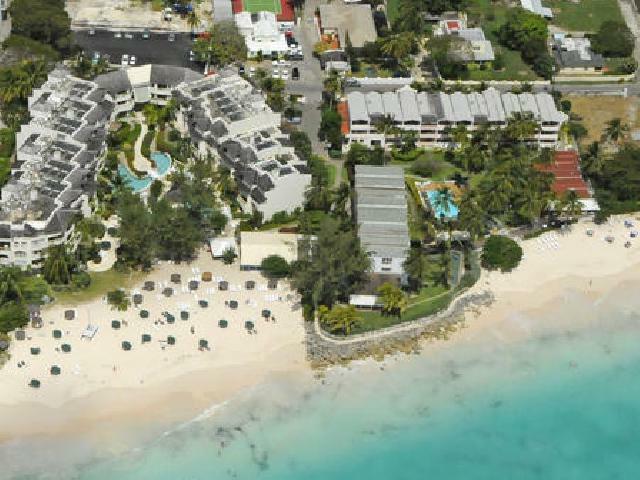 Partner hotel with nearby, new 18-hole championship golf course, Barbados Golf Club. Discount rates and preferred tee times to guest of the resort. In house activities department can take care of making arrangements. Boogie boarding and paddle ball. Other non-motorized and motorized watersports are available at a charge. 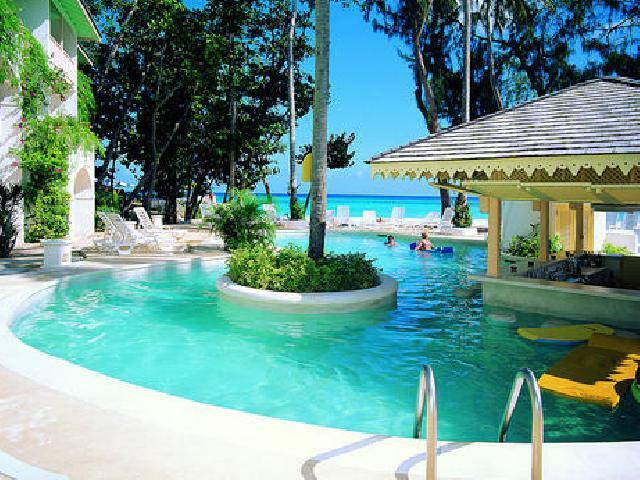 There are two free form pools with waterfalls, one of which also has a swim up bar, the other a children\'s section. 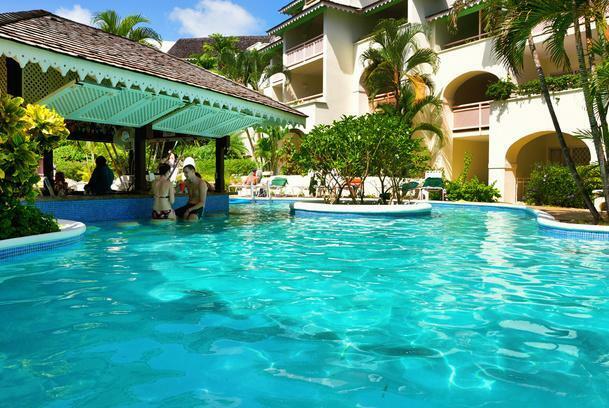 the third pool is a lap pool, also with a children\'s section. The pool containing the swim up bar is open to all ages. 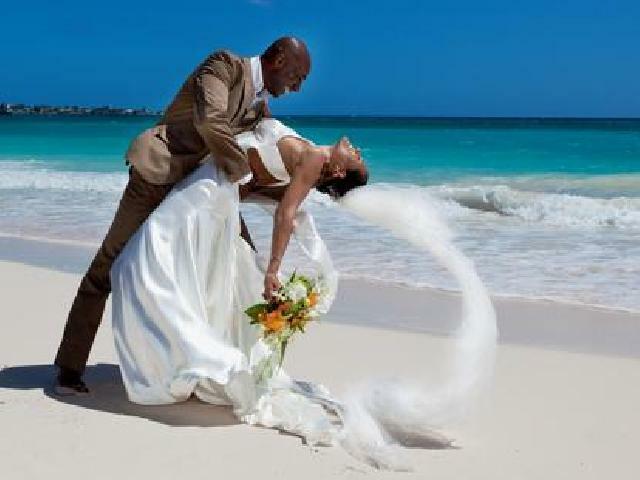 Includes a decorated wedding site on a point overlooking the ocean complete with an arch beautifully decorated with tropical flowers, services of an experienced wedding coordinator to coordinate the entire event, services of a Clergyman or JP to conduct the exchange of vows, Wedding certificate and legal fees, one-tier beautifully decorated wedding cake, bridal cascade bouquet for the bride, boutonnière for the groom, beautiful wedding gift from the resort, breakfast for two (2) the morning after the wedding on the patio of your room, special accommodation rates for the honeymoon couple, 10% discount off stay one later to celebrate anniversary and a beautiful in room gift on arrival. Bougainvillea's new Italian Restaurant and Bar! Dinner: 6:00 pm - 9:30 pm.